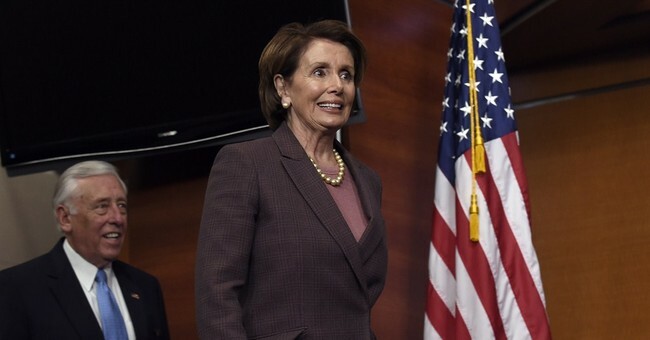 NANCY PELOSI, (D) HOUSE SPEAKER: A wall is an immorality. It’s not who we are as a nation. It’s a wall between reality and his constituents. His supporters. MITCH MCCONNELL, (R) SENATE MAJORITY LEADER: The speaker has recently defined a brand new dogma for the Democratic Party. Actually enforcing our immigration laws with the help of physical barriers is quote, “an immorality.” It seems like Democrats are happy to take their cues from the gentlelady from San Francisco and her extreme fringe position. BAIER: And do you agree with that, Mr. Leader? HOUSE MAJORITY LEADER REP. STENY HOYER (D-MD): No. Well, I -- with that, the guy I just heard was Senator McConnell. I don’t agree. BAIER: No, about the immorality. HOYER: I don’t agree with that. Look, I don’t think this is an issue of morality; it’s an issue of does it work? And Senator Cornyn, Senator Graham, other members of the United States Senate have put in question whether a wall works, whether that is the best way to secure the border. Now is -- are some restraints? We’ve supported substantial restraints. We’ve supported fencing. We’ve supported other technologies. So my own view is that this is not an issue of morality. A wall is immoral if it tries to imprison people who shouldn’t be imprisoned. HOYER: A wall is -- that protects people is not immoral. I think the issue is whether it works. So, do walls work? I think they do. There is no question barriers work to decrease illegal traffic.